Use a chest or an ottoman with storage inside as a coffee table – most living rooms have a coffee table but double it up as a storage box and you have a brilliant way of hiding that extra clutter you just don’t know what to do with. Things like magazines, books, remote controls and old photos are just a few ideas of things that you need but don’t necessarily want on display all the time. Use corner bookcases – there are many areas of the home that simply cannot be used for tables, chairs and other furnishings. However, you can take advantage of wasted space by using corner bookcases. As well as acting as an extra decoration and a bit of character, it provides you with a great way of displaying books, magazines and other decorations without looking untidy. Put shelving up – if you are tight for space then cupboards are just going to take up valuable space. Instead put up shelves because this offers an extra place to store things but won’t interfere with the amount of available space you have in the room. Put your things in self storage – if you have items that you don’t really need or use but don’t want to throw away, then self storage is the perfect place for them. Out of your way, you can be rest assured that your goods are being well looked after and that you can access them at any point in the future when you may need them. Buy a shoe rack – most of us take off our shoes when entering our home which means that the front door is frequently littered with dozens of pairs of shoes. Rather than being greeted with an unsightly heap of shoes every time you enter or leave your house, use a shoe rack so they can all be stored neatly. As well as looking much tidier, a shoe rack can also save you a lot of space and best of all, you won’t be tripping over everything when you walk through the door. Blinds can regulate the light that enters the house. The laths can be spaced in such a way that no brightness or just a little radiance can get in. These shades are also available in different patterns, colors and styles. Thus, you can create the desired look in your bedroom, living area, kitchen or dining room. Consider the Venetian, roller, roman, cordless, and mini blinds based on your design preferences. Multiple varieties of materials will enable you to choose one that conforms to your style and budget. Authentic wooden blinds are more expensive than faux wood. There are also aluminum, bamboo and plastic which are relatively affordable. You may choose to cover the windows with blinds thereby keeping the warmth inside during winter and minimizing heating costs. Blinds are also utilized by many as home adornment which is receiving a lot of positive comments lately. While blinds are functional, these window treatments also complement the aesthetic aspect of any home. You can relish absolute privacy that you may not get from ordinary curtains. The top-down model is an example of blinds that allows homeowners control of privacy. Moreover, blinds are easier to maintain. All you need is to wipe these canopies with a dry or wet cloth occasionally to remove dust or dirt. On the contrary, washing and drying curtains can be difficult, time-consuming and more expensive. When it comes to health and wellbeing concerns, opting for window blinds can lessen the possibility of acquiring eye irritation and headaches. The character of your room or house becomes ideal for surfing and reading books as well as watching television. Depending on the size of the use will determine how big the system needs to be. Your rainwater collection system can be as simple as one or more rainwater cisterns, or rain water barrels connected to the downspouts of your home gutters. Or if you prefer, you can construct a more elaborate system piece by piece. A complete system for rainwater collection could include either above ground or below ground storage tanks. While above ground tanks are easier to install, they can definitely be more expensive and less attractive. Below ground tanks might require some digging, but they are less prone to evaporation since they are underground and not in direct sunlight. Preventing evaporation may be extremely important- especially in drier climates-depending on how much you rely on your rainwater supply. You may be both excited and overwhelmed at the thought of collecting rainwater and all the benefits which come along with doing so. Once you are ready to begin building your rainwater collection system, you will be ready to begin a worthwhile, rewarding endeavor. So do not hesitate, contact a pump supplier and get your own rainwater harvesting system installed. Make sure that all fuel-burning equipment is vented to the outside and kept clear. Have snow shovels, salt and sand handy to help with snow removal and vehicle traction. Have adequate clothing and blankets to keep you warm, both in your home and your vehicle. Bring pets/companion animals inside during winter weather. Ensure that all outdoor hoses are disconnected from the spigot. Locate your main water shut off valve and learn how to turn it off in the event that you encounter a frozen pipe that bursts. If you encounter any frozen pipes or home damage, make sure you contact your insurance agent right away and get help setting up a claim. If you can, do your best to protect your home from continuing damage but make sure you protect yourself and your family first. If worst comes to worst, most home insurance policies have coverage for additional living expenses that will help pay for you to stay somewhere else if your home is damaged from a claim and you cannot stay there. Hopefully, repairs would be minor and not take a considerable amount of time, but most home insurance policies provide money for 1-3 years (depending on the company) of additional living expenses. As always, you should review your coverage and protection once every 12-24 months to make sure you’re covered the way you should be (and the way you think you are) just in case you need to file a claim. Subfloor ventilation involves supplying clean air to the subfloor while sucking out stale moist air. A poor version of this type of ventilation will involve placing air conditioner around the building which will direct air into the subfloor. However, with no exhaust, the stale moist air will have nowhere to go. A better ventilation system will draw out stale moist air, which in turn will create a negative pressure inside the subfloor thus allowing fresh air to be drawn in. Most ventilation systems use fans, insulated ducting and humidifiers. You can easily find subfloor ventilation systems that are not only efficient but cost effective too. Now that you know how ventilate your subfloor, it would be to your advantage to know the different types that are available on the market. 1. Air vents ventilation. This is the simplest form of ventilation and is made out of bricks. It involves creating vents which are positioned in various parts of the subfloor. The placement allows for damp air to flow out from one side, and clean air to flow in from the other. For this type of ventilation to function properly, it is important that these vents stay clear or any blockage such as dirt or debris. 2. Forced ducted ventilation. This type of ventilation is suitable if your main concern is proofing your house against pests and decay. This type of installation does not involve making any changes to your house. It focuses more on creating more flow of air to areas that are prone to be stale and moist. This system achieves this through the use of special ducting and fans which help in drawing out stale air while drawing in fresh clean air. 3. Powered fan ventilation. This is the most popular form of subfloor ventilation. It works by creating negative air pressure through the fans. The stale air is then drawn out through strategically positioned vents, which also allow in dry replacement air. 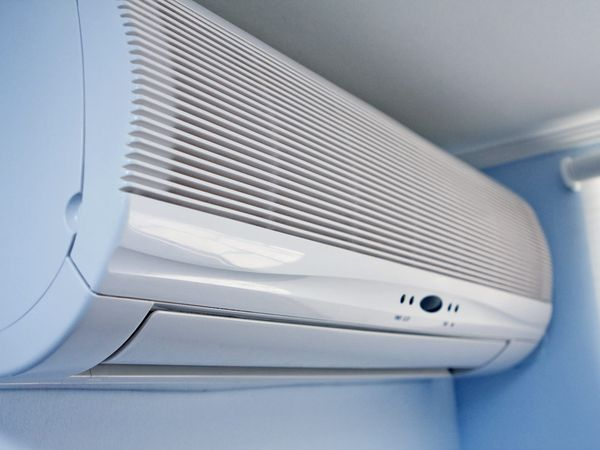 Most of these types of systems are constant or timed, with the latter being more energy efficient and cost-effective. The timed versions means that the system will only operate during warm and dry weather, to ensure that the humidity inside your house remains balanced. Also called drywall “mud”, there are two common types of joint compound used to repair and patch: light-weight and all-purpose. Both are easy to work with and retain a room-temperature shelf-life of 9 months. The most important tip for buying drywall compound is to buy enough. For large projects, expect to purchase 4.5 gallon bucket of material. For smaller projects, you can get away with a one gallon bucket, but you may be paying close to the same amount for a larger bucket. If you think you might have future work in the next 9 months, it is more cost-effective to go with the larger bucket. If not, go with the smaller amount so to not waste any material. Many people are confused about the difference among drywall compound, spackle, and plaster. The differences are subtle, and hardly noticeable to the average layperson, but they do exist. Compound, joint compound, or drywall mud all refer to the same product, and used mostly for larger drywall and gypsum board projects that require more durability, namely to cover joints between panels. Spackle is very similar to joint compound, but used mostly for small household repairs for plaster and drywall. Plaster is a type of wall material found mostly in older or historic buildings. It is a more time-consuming approach to wall repair in comparison to spackle. You can purchase all of the above-listed materials at any local hardware or home improvement store. Ask a store attendant to point you in the right direction, and give advice on the most reliable products. Talk to a licensed drywall contractor for expert advice on household drywall repairs, drywall projects, drywall replacement, and more. They can even take the weight off your shoulders by getting the job done faster, better, and at a price that won’t make you think twice! Installation can be a lengthy process, so you’ll want to make sure that you consider all areas of your home. You don’t want to be calling the technician out multiple times to fit various inclines in different areas of your home! How Long Should the Incline Be? Higher entrances require longer ramps. Once you get steeper than a 9.5-degree slope, the incline is no longer safe for an occupied scooter or wheelchair. Ramp installation experts suggest a 4.8-degree slope for maximum safety. To reach a 4.8-degree slope, the height of your staircase in inches is directly related to the length of your ramp in feet. For instance, if you have two 5-inch stairs – a total of 10 inches – you can expect to have a slope that is 10 feet long. As you can imagine, higher staircases necessitate longer runways. You may find that your slope needs to wrap around the house or go in a zigzag pattern rather than a straight line. What if you have a small front yard and four 5-inch stairs leading to your front door? Somehow, 20 feet of runway needs to make it up to your home. Within your home, you may need very small inclines to get over thresholds or into your shower. These can easily be installed or you may consider a portable option. It all depends on how many of your doors have raised thresholds. How Wide Is Your Wheelchair Ramp? Installation experts suggest that the width of your incline be slightly wider than the wheelbase of your chair or scooter. Obviously, the device needs to fit onto the slope, but you should also have a safety margin on either side. That way if you weave a little from one side to the other, you won’t go flying off! The stored water could be used for purposes like watering the outdoor garden or washing vehicles. So this excess stored water can be used for additional purposes. If the normal water supply is used for additional purposes, then there could be scarcity of water. This stored water could also prove useful in case of emergencies like fire. In case of a major fire outbreak, the stored water could be used for extinguishing it. Many insurance companies also offer discounts in insurance premiums to people who have underground water tanks in their homes. So keeping stored water in your home will not cost you much, but will definitely be helpful during contingency. In order to purchase subterranean water tank, the following steps needs to be followed. First of all you need to determine, where will you place the tank in your home. In order to make this happen you have to allocate a space for the tank. You need to have sufficient space for placing the tank in your home. The second most important factor is affordability. Obviously the larger tanks would be more costly than the smaller tanks. Before thinking about purchasing a large tank, you should determine whether you can afford it or not. You have to also evaluate your requirement. If your requirement of subterranean water is less, than you should purchase a small tank. If the requirement of stored water is more, than a larger tank is required. You will also have to spend money on the piping. You must consider all these factors before making a purchase. You have the option of purchasing the tank online. You will find various companies selling tanks online. You must select the tank that is most suitable to you in terms of price and suitability. But before making the purchase, you must check the customer reviews. You must purchase only those products which have favorable customer reviews. Generally the reviews given by other customers are correct.